The economy is rocking, but if your business is struggling you know the myriad of entrepreneurial challenges. However, it is possible for businesses to successfully complete a financial turnaround. First, you might have to put on a different set of glasses – see this economy as a marvelous opportunity. But it’s not just a matter of increasing sales. There’s more to it. To sharpen your axe, there are salient areas that need your focus in order to turn your business around, which include financial, marketing, and internal operations. For space limitations in this column, let’s deal with finances. Businesspeople are embarrassed by having to face the trauma of continuous collection calls. They often don’t communicate effectively with creditors on managing cash flow issues. So tell creditors you’re working to correct the situation. 1. Increase the cash balance. Collect the outstanding accounts receivable and generate cash from any saleable assets. 2. Prioritize the cash disbursements. Focus the available cash toward the must-pay expenses first, including payroll and associated payroll taxes, and pay other vendors with your remaining balance. 3. Develop a cash forecast. Project realistic cash receipts by customer (preferably include the products or product lines) and disbursements by creditor on a weekly basis for the three months – and monthly thereafter for a year. This means reducing the revenue and collections in your projection by 10 to 30 percent to make certain the actual results are achievable and you do not run out of cash. Develop and implement plans to operate and keep you in business at the lower projections. … you might have to put on a different set of glasses – see this economy as a marvelous opportunity. Denial is usually the biggest consequence: Acknowledge your situation, develop a turnaround plan, and communicate with your bank, with vendors, and your employees. Once you acknowledge the situation, consider your company’s mission statement, define the core business, including your target customers, and your company’s unique competencies in the marketplace. The bottom-line question – are your products or services responsive to the market demand? Next, determine your company’s strengths, weaknesses, opportunities and threats with a SWOT analysis. If you owe money to banks or vendors, most would rather be repaid over time than take over your business or force your company into bankruptcy, provided you can show them how they will benefit by working with you. For your lenders, provide your operational and financial turnaround plan exhibiting the company’s viability and outlining a repayment plan and timetable for the bank and explain how you intend to protect the bank’s collateral. You may have to show your lender how they will receive less money if they force you to liquidate to repay your line of credit if they don’t extend the repayment terms of your loan. In dealing material suppliers, offer to pay them cash on delivery on future shipments so that they can continue to earn their gross margin on your purchases and suggest that you will also pay a small percentage toward their prior outstanding balance. Your vendor will keep you as a profitable customer and their outstanding receivables will be reduced over time. Keep your commitments on making payments to re-establish credibility. Identify your company’s key performance indicators, or critical success factors. Continue to monitor your company’s financial health. Identify your company’s key performance indicators, or critical success factors. These indicators must be SMART, an acronym for specific, measurable, achievable, relevant and track-able. They typically relate to sales to key customers, accounts receivable collections, cash balance, raw material deliveries, and sales backlog. A flash report can be designed to monitor these indicators on a daily basis and to evaluate your actual performance against the turnaround plan. It should be shared with key players in your company so everyone understands and has a sense of ownership so that you have a team-approach in achieving your goals. As for your receivables, here are resource links: Are Accounts Receivables a Problem? and How to Ease Debt-Collection Headaches. The textbook I use in teaching finance to non-accountants is “Finance for Non-Financial Managers” by Gene Siciliano. 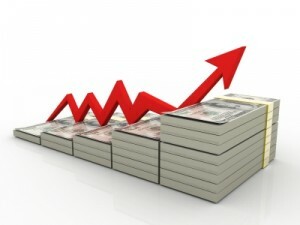 Use these tips and you’ll increase your odds for a good return on your marketing investments. Use the Golden Rule. How many times have you said you’re tired of spending money at companies who have employees who take your money and say “Have a nice day,” but fail to smile and say “Thank you”? Or they seem indifferent toward you? My research shows that consumers stop buying from a business about 70 percent of the time because they feel they feel taken for granted. Customers will go elsewhere and not bother to complain about the lack of respect. Incidentally, employees are consistent. If they are indifferent to customers, they treat their fellow workers the same way. So if you have customer-service employees and your profits are down, you can bet your company needs to improve team morale and customer empathy. 15 HR Strategies to Improve Your Business Performance — Studies show many employees are dissatisfied in their workplaces. Employee dissatisfaction, of course, will adversely affect a company’s performance.